Team module. Access rights and roles in QuintaDB. We are happy to introduce you one of QuintaDB main modules, that is a Team. 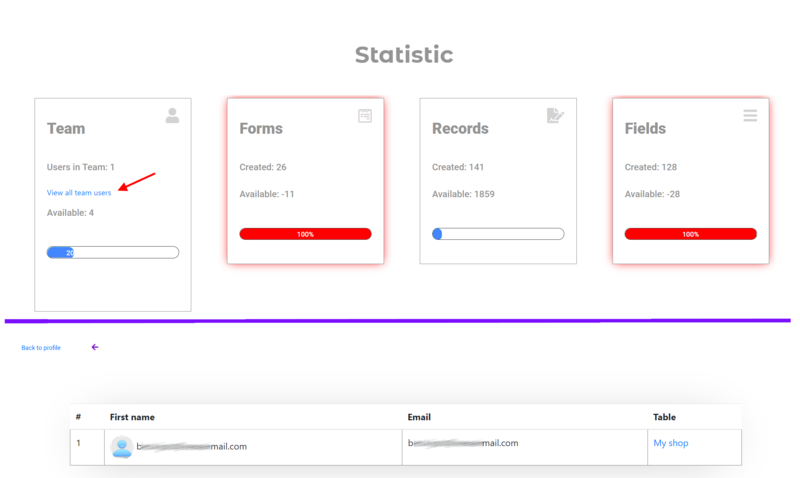 Using this functionality your friends or colleagues can join your project to help you to manage databases, forms or reports. This module was always in QuintaDB, but we improved it to satisfy the needs of all of our new users. On your projects page you can see your projects or projects of the team. If there are no projects of the team yet, it just means that no one shares access with you yet. 2. In order to add users to your project you have to use the Team menu. Click on the green button at the right named 'Add new users to team' and you'll see all avaialble modules to share. Notice that you can select any tables or reports with different access role. All users can have such roles which can be changed at any time. Read only - User can only view records and export them. Read and Write - User can view, edit and also import and export records. Read, write, build - The same as 'Read and write' but user can also change Forms and Integrate them. Administrator - Can manage Team in addition to everything that user can do with 'Read, write, build' access level. Please, read here how you can enable 'Access to only own records' and filter records by User. You can also restrict user from seeing some table columns or editing form fields using Field Level Access. Notice that you can select which from the available Charts, Maps, Calendars or Portals will be visible for your new team members. You can also choose Edit, Create or Delete permissions. For the Files module you can decide if user will be able to upload files, see only his own files or being able to delete files. Same for Team module, member can add new team member, edit current access rights or delete members. It's up to you if you want to allow them to do it. Or you can leave Team module unchecked and new members will not see other team members. At the bottom of the 'Add new team member' form you have to enter emails. Enter emails, one per line, select the role and click on Invite. You are done, users will get email notifications. If this is a new user for QuintaDB new account will be created and activation link will be sent. 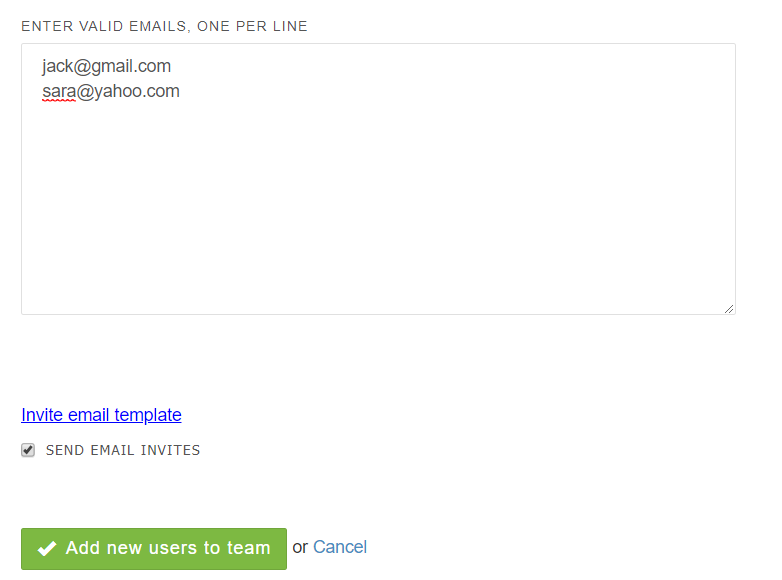 You can decide if you want to send invite emails and you can even edit email templates. Once you click 'Add new users to team' new members will be able to view and edit your project based on the new access rights. Once invited, you can see all the members of your Team on one page. You can see all their details, like Name, Login, Email, User Role. At any time you can change user roles or delete them from the Team. You can search for team member by his email, login or name. You can filter team members by Table or Report. And edit access to any module on same Team page. If you want to see all team users linked to your account, you can simply open "Account" - "Payment and Statistic" page and tap to the numeral marking number of users.